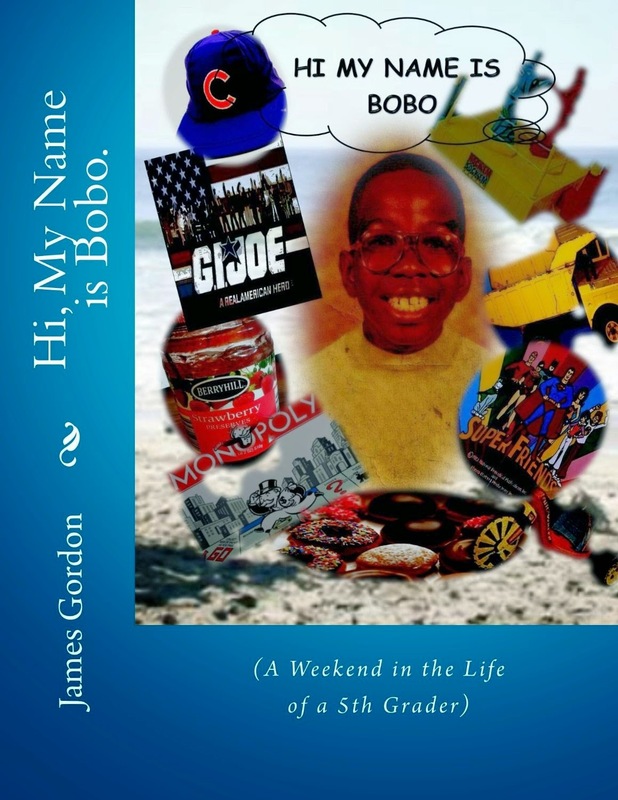 Children’s Author James Gordan, “Hi My Name is Bobo” Adventure! 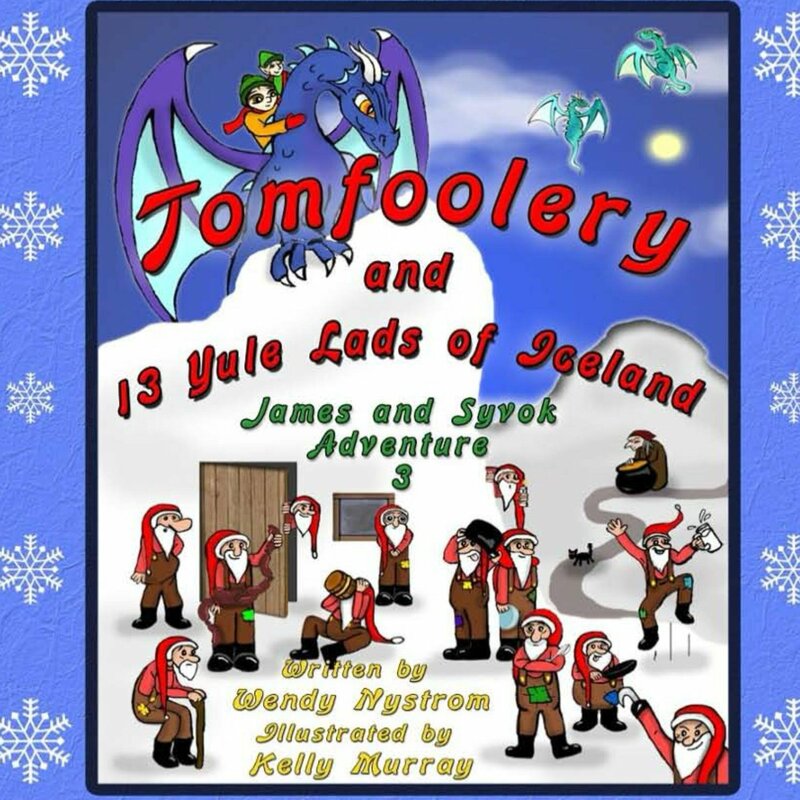 Today’s featured author is children’s author James Gordan enjoy the adventure! A Weekend in the life of a 5th grader how fun. I had the pleasure of meeting this talented author at a children’s writers conference. 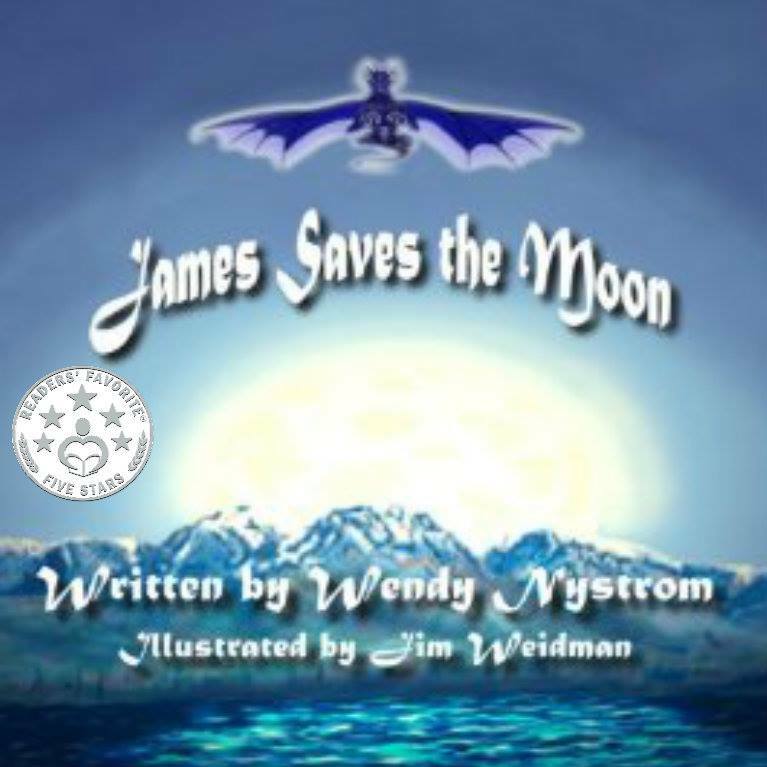 Today we meet James Gordon, a children’s author! Enjoy our interview and getting to know James. And then check out the buy links, and links to connect! Hi James, thanks for joining us today! Ready for a grilling? inspiration for writing? Life experiences are the best subject matter. Are your characters based on anyone? your books? Do you recommend others do this? 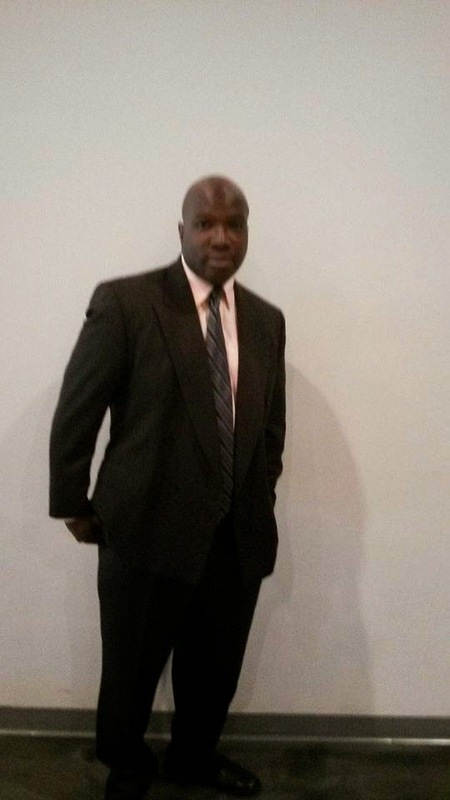 I went through Amazon/CreateaSpace If you do not have a traditional author behind you I do. B) Do you have a family? C) Do you work besides being an author? Yes I am a performer as well. D) What kind of hobbies do you enjoy? E) Do you have pets? Scooter the Beagle is my sibling. F) What is the most embarrassing thing you have done/participated in? was teaching, I slipped from the desk and fell. G) What is something humbling you have done and learned from? H) Where do you see yourself in 10 years? why? London, France Dubai, Japan, and Maine. night person? Both. Afternoons aren’t my thing. multiple personalities…what are some of yours, and how do they behave? is modest while G.P.A. is a tad arrogant. unique about you? I don’t sleep much. Strive to be the best because it’s in you. Practice. Read. Practice. Read. Travel. Read. Merry July. I love Christmas in July. Let me tell where the idea came from. My dear friend Chris Fox at lunch one day told me about her family could not get together in December so they put together a Christmas in July party when they all could get together. It sounded so much fun. So now for the second year I am having a Christmas in July Event. Here is the link on Facebook. https://www.facebook.com/events/666757450126297/ Please join and enjoy some fun and possibly win some prizes. I also have two thunderclap campaigns and would love your support. If you can click on the links and support. Thank you in advance. Readers Favorite Gold Award Winner. 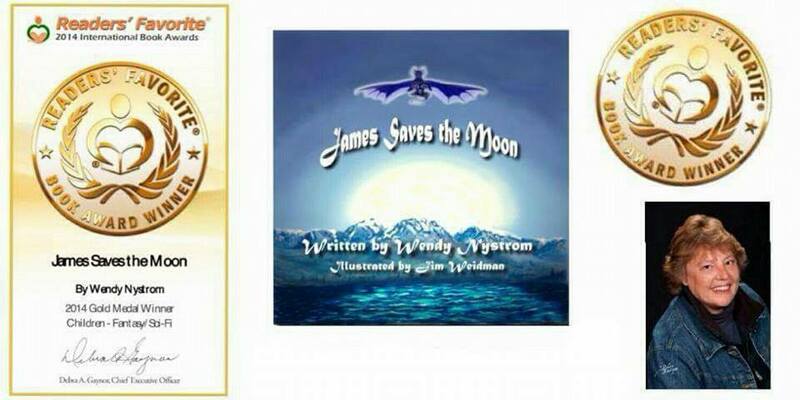 James Saves the Moon the first in book in the series is always on sale for 99 cents. Einstein & Moo, Author Jennifer Milius Wild Adventure! Time to introduce two fun cats Einstein & Moo book series written by children author Jennifer Milius. Your kids will love the adventures. and real life kitties – Einstein and Moo. and very white whiskers, thus how he got his name. more than meows, and she loves to climb in your lap and snuggle for hours. that are playful, curious, friendly and have many interesting adventures. and is about Einstein and Moo’s favorite treat, a green leafy plant called catnip. It grows outside, and even though they are indoor kitties, they want to find a way to get outside and have some. This may mean that they have to be creative and help each other, but to them, the treat is worth it!I was inspired to write about our kitties because of my love for animals, storytelling, children, and books. To me, when someone shares a book with a child, they share an act of love. So for this particular book, I was inspired by how much Einstein and Moo love the fresh catnip that my family grows in a little pot on our back porch. When they do get to have some, the kitties get the same amount of leaves; however, Moo receives her portion all at once and Einstein receives his one at a time, otherwise he will inhale his portion and all of Moo’s too! The first two books of the Einstein and Moo series are Einstein and the Leaf and Moo and the Case of the Mistaken Identity, and coming soon will be a coloring book based on the series. Magic Carousel has been my focus of late. I have been working on my 6th children’s book this past week. James and Syvok will be on vacation in my home state Minnesota and have a mission they must take care which involves a carousel. 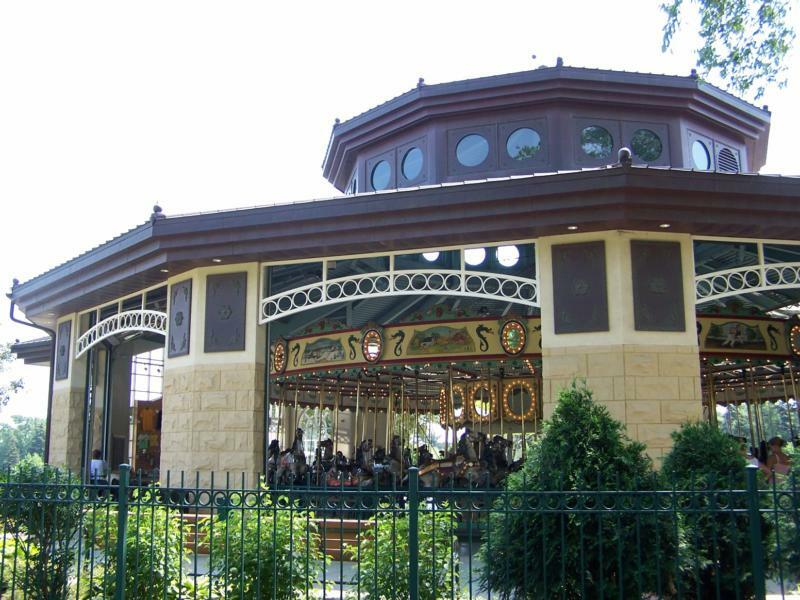 I was doing research on the carousel at Como Zoo in St. Paul where I grew up. I was rewarded with two surprises during my research. The first one is to my delight is that the Como Zoo is still free. I went there often as kid and I took my kids there when I visited. It also one of the last places we visited as a family before my parents passed away. 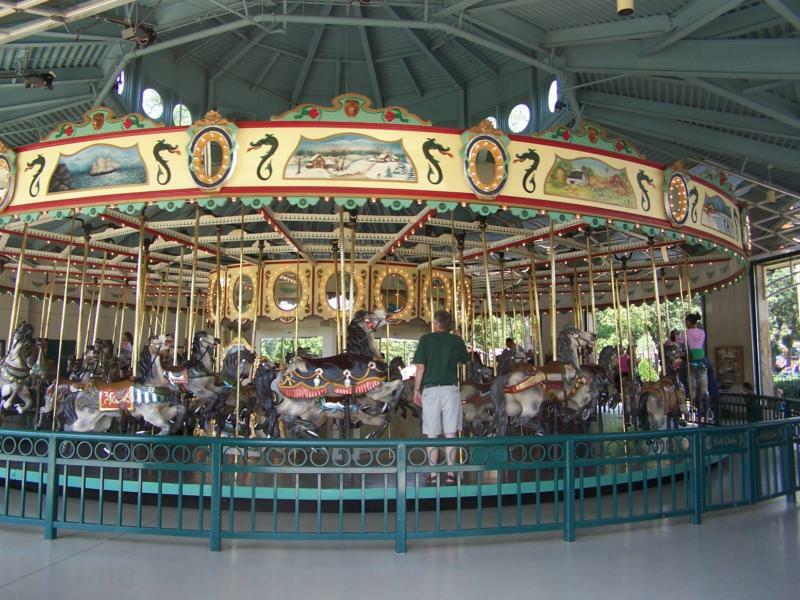 The second surprise was the beautiful carousel that is there now was the carousel at the Minnesota State Fair grounds and it was saved from leaving the city of St. Paul by community members and placed at Como Zoo. The carousel was ordered in 1914. My grandmother probably rode the carousel. I rode it every time I went to the state fair and all of my kids have been on this carousel. 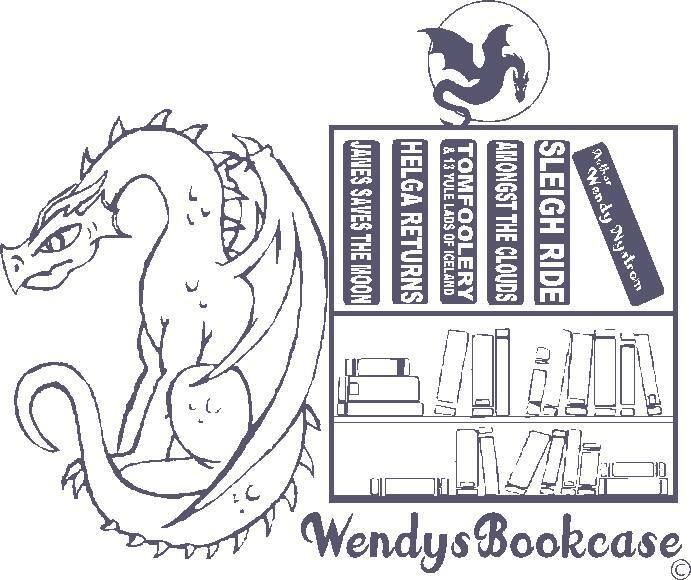 Check it out it has dragons it really is a beautiful magical place. When I would ride I would dream about wild adventures truly loved the carousel they are so magical. Did you ride on a carousel? Do you remember where you imagination would go while riding? 2014 was quite the year. I call it a building and renewal year adventure. Two of my books won awards. 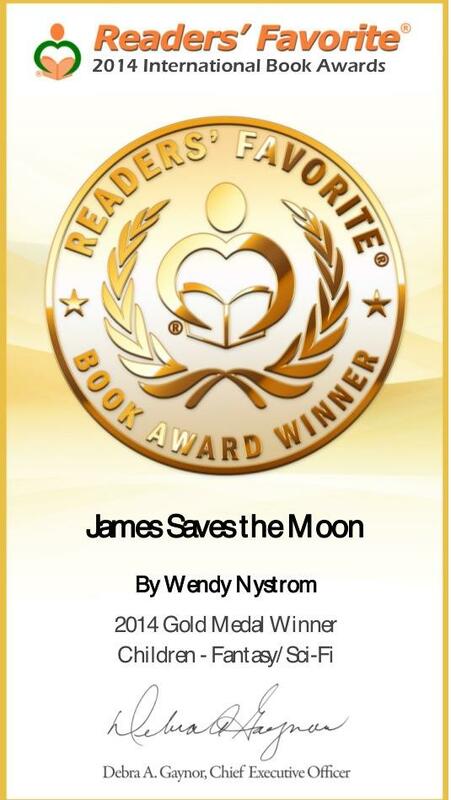 James Saves the Moon won a Gold Medal Best Children’s Fantasy/SciFI from Readers Favorite. 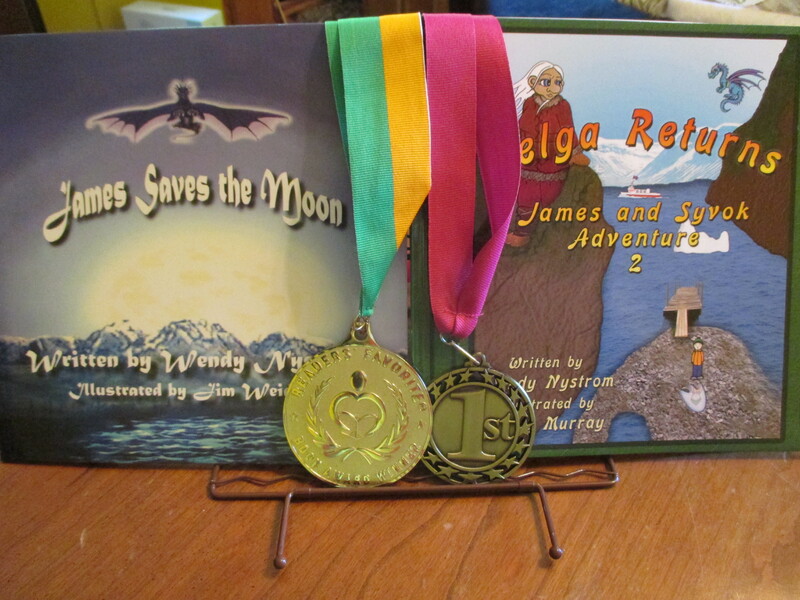 Helga Returns won a Best Children’s Book ages 9-12 from Turning the Pages Magazine. Traveled with double vision from Michigan to Orlando in April and received my award from Turning the Pages award ceremony. It was a lot of fun. Delighted to meet author Mcv Egan in person. We have been friends for years on facebook. My pal Stacey Rourke was there and many other authors. While beginning the editing process of my 4th book Amongst the Clouds in February/March and Turning 50 I ended up in the hospital with two bleeding aneurisms. I lost six days, spent 4 nights and had surgery to stop the bleeding. I now have two platinum coils in my head. So I guess my head has gone platinum. LOL I was lucky walked out of the hospital. My recovery has been remarkable. Amongst the Clouds released from Anchor Group Publishing in July. Fabulous fun adventure. Wonderful illustrations by Kelly Murray. Growing up, we all had imaginary friends, but James’s pals are so awesome that one can easily believe they are real. It all begins with a beautiful and unusual cloud that seemed to be stuck in place. As James daydreams about its mysterious beauty, he is launched on an unexpected adventure in the company of his imaginary friends. As they try to discover the meaning of the cloud, they end up becoming key players in a battle in which rivals fight to take control. 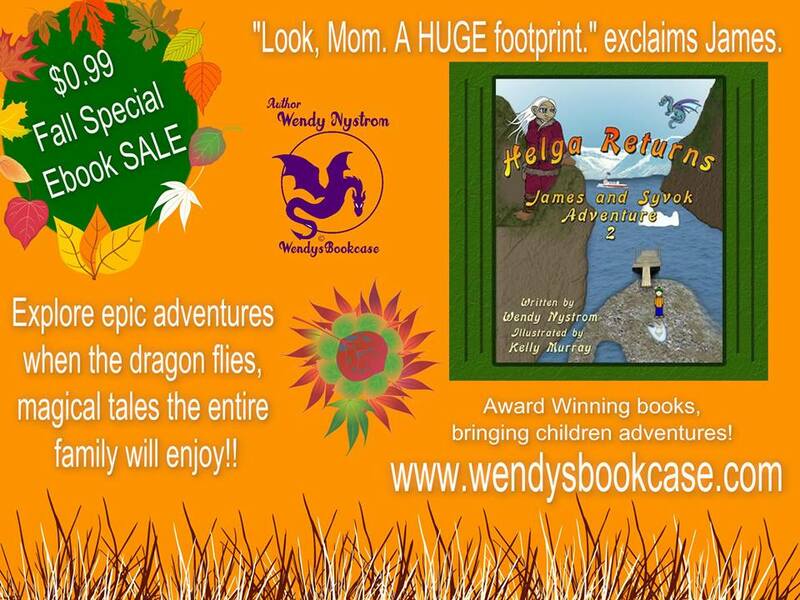 From flying on a blue dragon’s back to their eager search for a lost key that opens a spell book, James and his friends have a day packed with suspense and drama. However, they still manage to get him home by dinnertime so he can tell his family all about it. 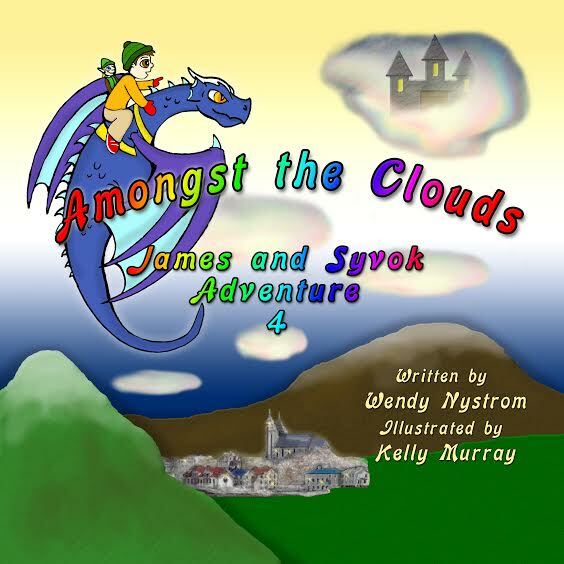 Amongst the Clouds by Wendy Nystrom is an awesome book that young and old will enjoy. In Amongst the Clouds, author Wendy Nystrom does a brilliant job of describing how high a child’s imagination can actually fly. The main protagonist dozes off and ends up in the middle of a lucid dream that teaches him a number of valuable lessons about the importance of loyalty. 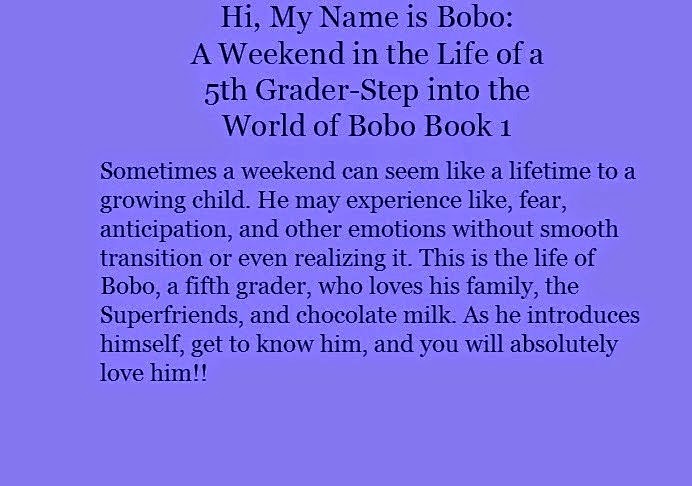 The story is well written and contains a lot of characters with which kids can easily identify. At the same time, Wendy Nystrom shares a little bit of Icelandic culture with the reader, enabling him or her to easily grasp the context of the adventure. The language is vibrant and appropriate for children, and the book includes many illustrations that add to the mental image so aptly formed by her words. I was also able to finish my 5th Book Sleigh Ride in time for Christmas release. 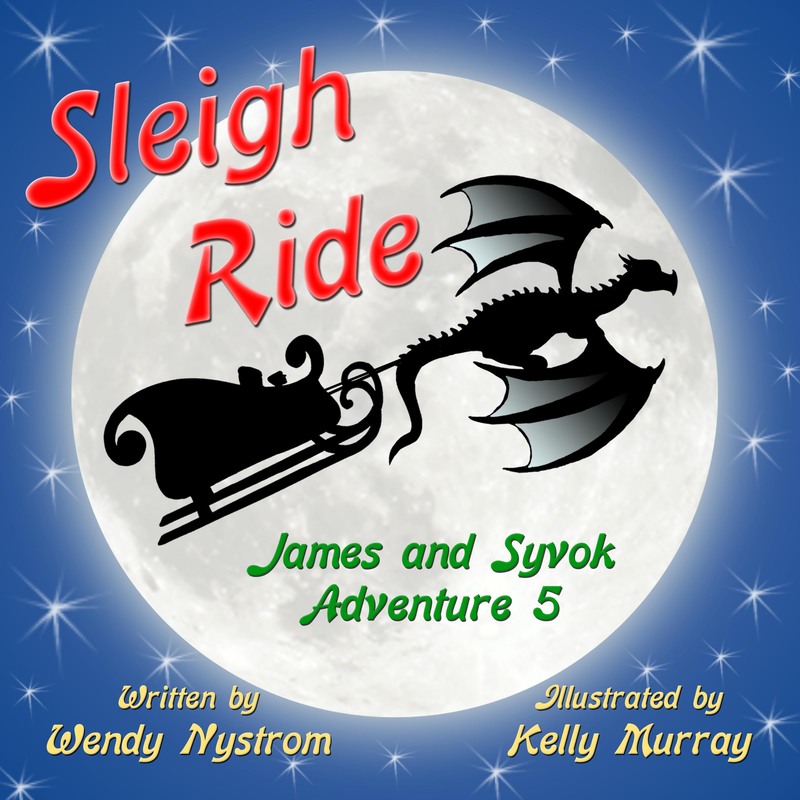 Another fun adventure: James and his pals help a polar bear and delivers Santa another sleigh since his was broken accidentally by his reindeer. Blade Graphics designed this graphic in the fall. I just love this. I can have it placed on stuff, hats, mugs, cinch sacks, totes etc. The holidays were spectacular. We drove to Arizona to spend with my wonderful in-laws. We stopped in NM to visit more relatives on the way had a blast. Then four corners and met the in-laws at the Grand Canyon. We explored for a couple of days. Then a wonderful Christmas at their winter home in Arizona. The family loved the trip. I am very excited about 2015. Hoping my books get into the hands of many kids. My writing is coming back. I am working on my urban fantasy novel New Moon Brethren and 6th children’s book Magic Carousel. I joined the local writers group and enjoying those meetings. 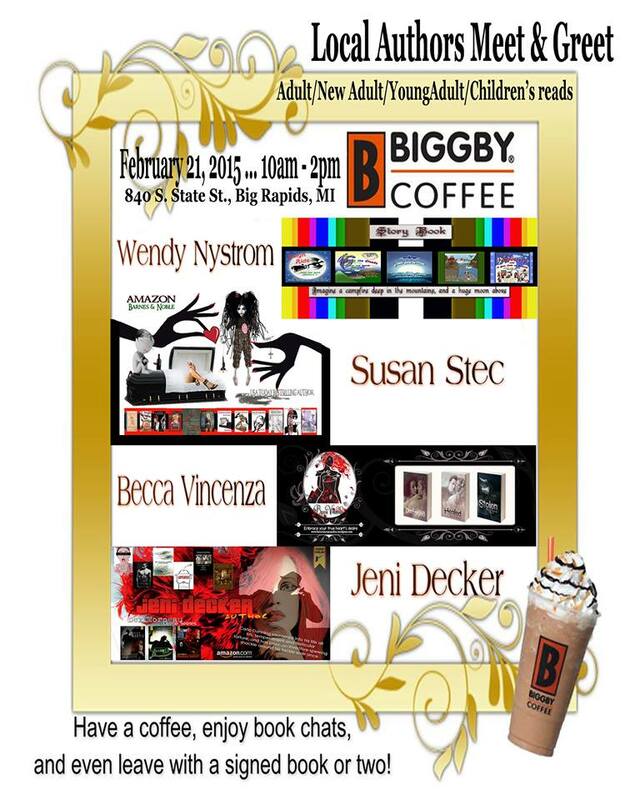 I have an event with three other authors at Biggby Coffee in February. Susan Stec, Jeni Decker and Becca Vincenza. 2015 is becoming a wonderful adventure. More adventures on the way I am sure.